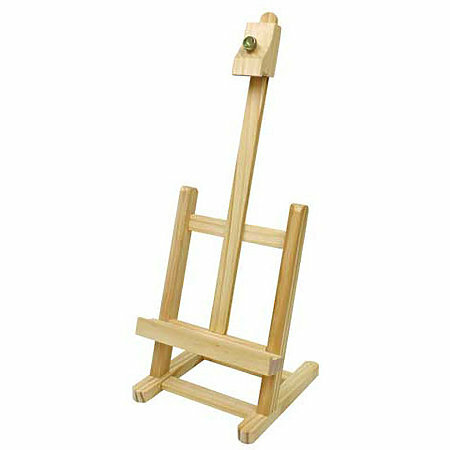 Ideal for displaying paintings, matted artwork, photographs and announcements, this mini H-frame style table easel is made of smooth, finished hardwood. Fully assembled it is 17" in height. The top canvas support lock is adjustable and it will hold a canvas or frame up to 12".